And so begins A Perfectly Messed-Up Story. 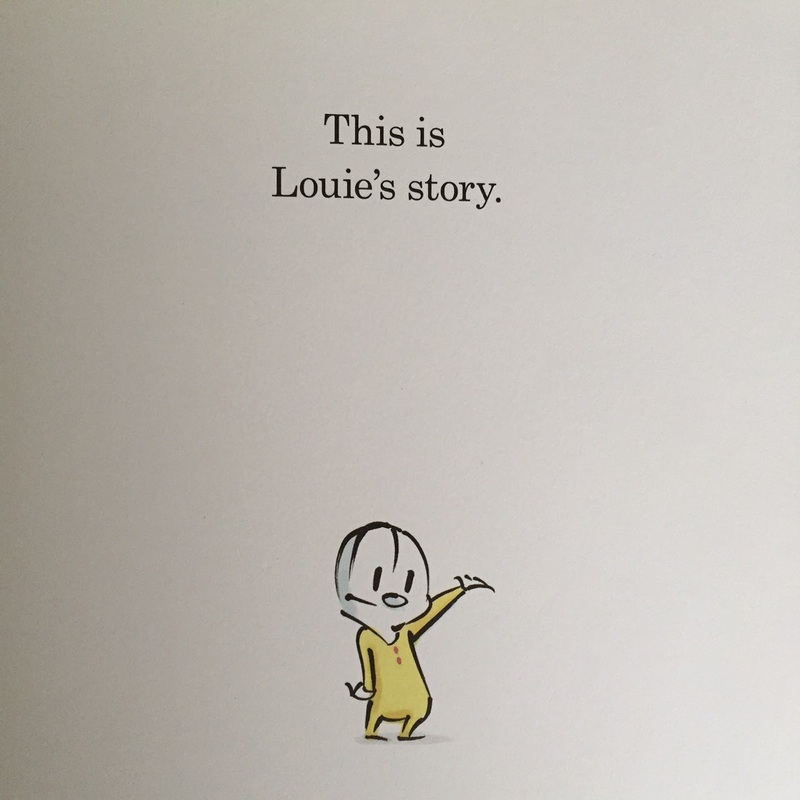 It is the story of Louie, but it’s also the story of you and me and every human with whom we share this messy and unpredictable planet. 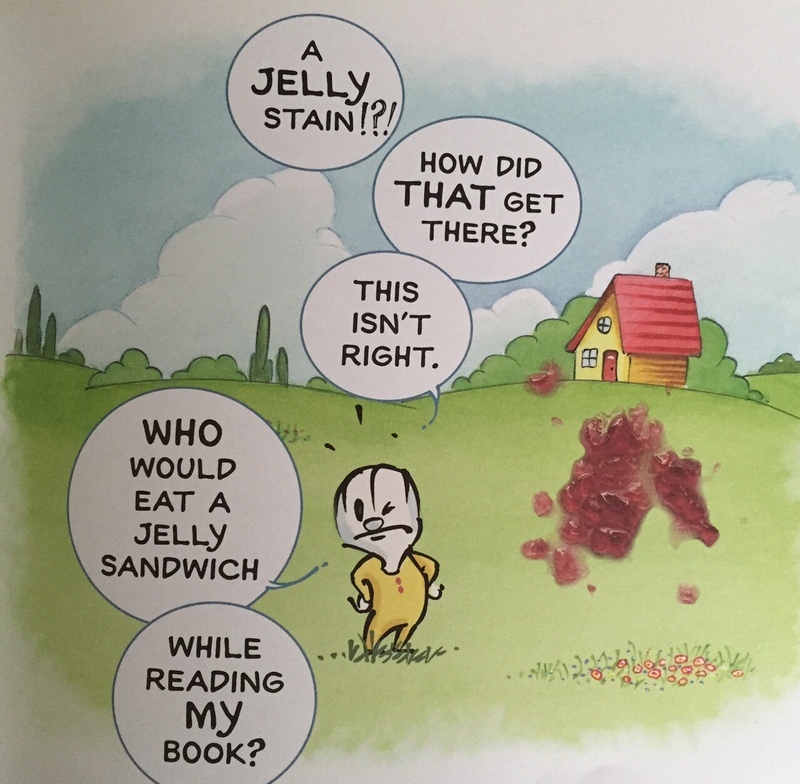 Louie is happily skipping along through his book when suddenly his story is interrupted by blobs of peanut butter and jelly. And fingerprints. And crayons. At first, Louie’s response is despondent. No one will want to read his messed-up story. His story is ruined. It is over. There is no other possible outcome. Yet, his story continues on, all around him, and Louie makes a choice that changes everything. There are some books written for children that should be required reading for adults, and A Perfectly Messed-Up Story is one of them. Maybe this won’t always be the case. 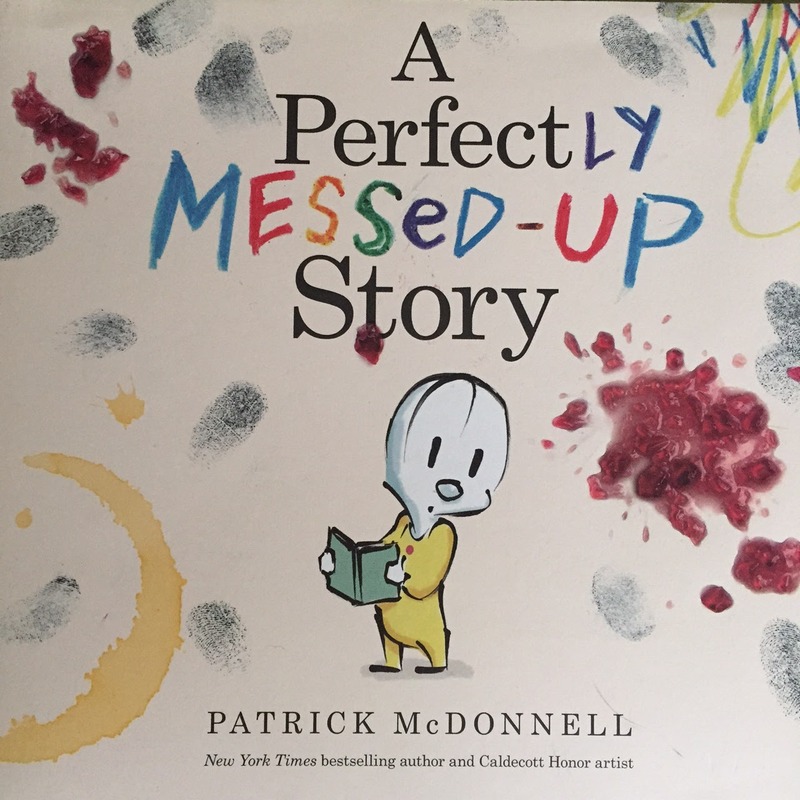 Maybe because of the the work of authors like Patrick McDonnell, these important messages will find a permanent home in the hearts of our children while they are still young, and they will carry these truths into adulthood. Maybe they won’t need a refresher course. But some of us do need one. Some of us do not know that no one’s story is without blemishes, or that there is no perfect path through this life. Some of us don’t believe that we are not the sum total of their mistakes, or the bad things that happen to us. Some of us enter adulthood with the crippling belief that if we carefully arrange the pieces in the exact right order, we can put together our lives’ puzzles without a single blunder or mishap creeping in. I know this because I carried a suitcase full of these beliefs into adulthood with me and have spent the last fifteen years unpacking and discarding them one by one. Sometimes still my luggage will start to feel a little heavy again, and I’ll unzip my suitcase to find that one of those perfectionist tendencies found its way back in my bag. The need for approval. Indecision based in fear. Productivity as a sign of success. I pick it up, examine it for what it is and let it go again. The discarding of these beliefs is probably life-long work for any recovering perfectionist, but I can tell you that every year my load is lighter and my heart is more full as a result. 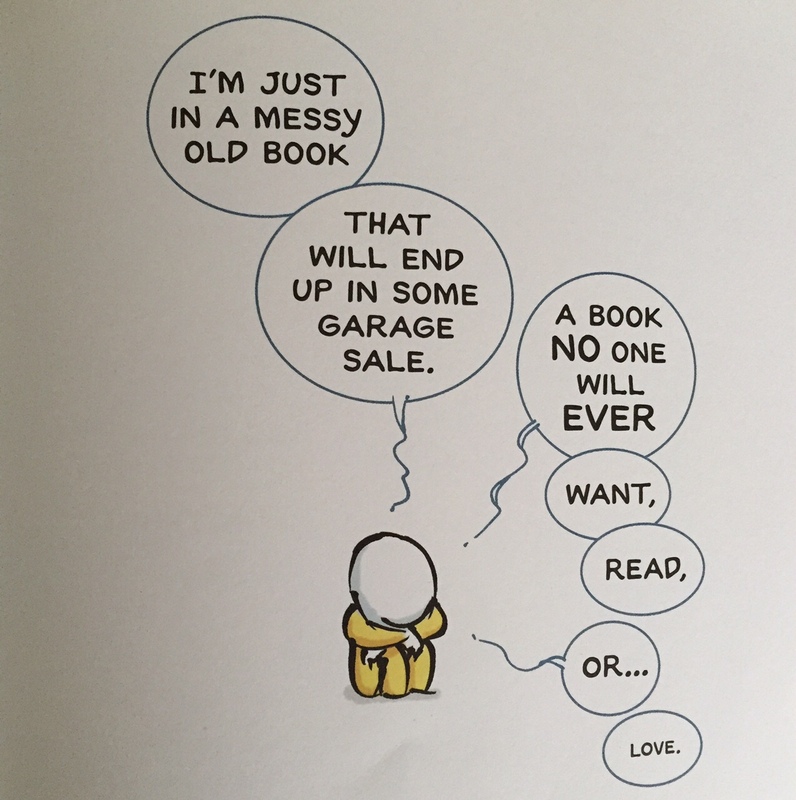 When I stumble across a book like A Perfectly Messed-Up Story, I purchase it without hesitation and read it to my children more often than they’d probably like, given that they are ten and eight years old and slowly outgrowing their love of pictures books. I read it anyway, because I’m dedicated to raising kids with a mindset that leaves room for mistakes as an inevitable part of growth, failure as a necessary step on the path to success, and grace as the lens through which they view themselves and others. All of that is easier said than done, but I think it starts with telling our kids the truth. They will make mistakes big and small, bad things happen to all people, and their perfectly messed-up stories are still beautiful.